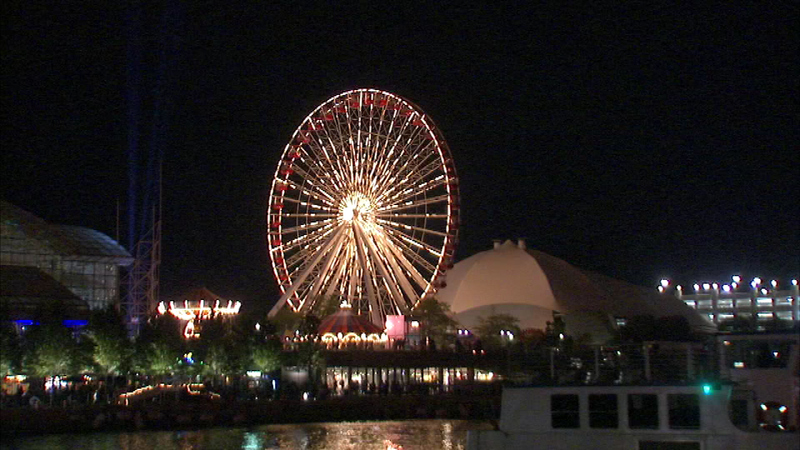 CHICAGO (WLS) -- Navy Pier's iconic Ferris wheel is taking its final spins this weekend and many fans are enjoying a last turn on the wheel. Rides are free until 9:45 a.m. Sunday morning and free commemorative t-shirts will be handed out starting at midnight. The Ferris wheel stops turning at 8 p.m. Sunday night. It's being replaced with another wheel that is 50-feet taller. The new wheel will be in place by next summer.